Cala Homes are very kindly sponsoring part of our schools programme 2017. Their financial support is being used directly to run a series of “Exploring the Science of Music” workshops for both primary and secondary schools in Midlothian. 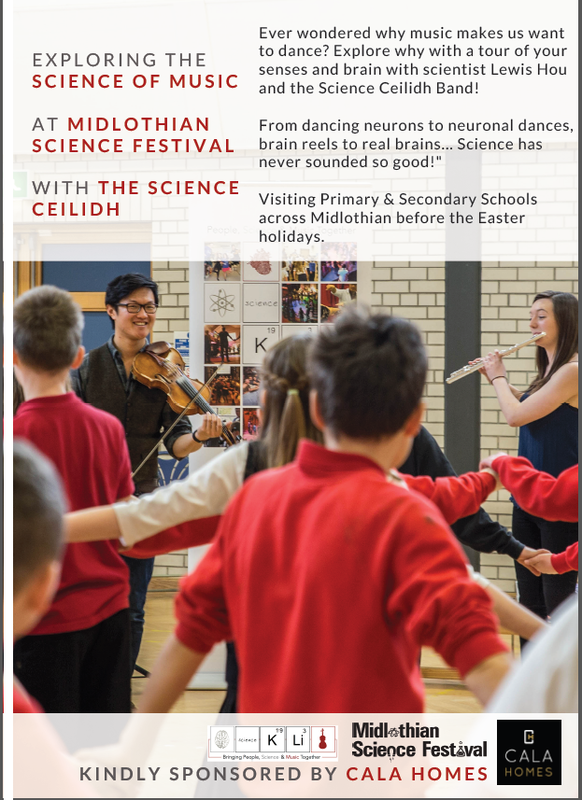 During this workshop, children will explore why music makes them want to dance with a musical tour of your senses and brain with neuroscientist Lewis Hou and the Science Ceilidh Band.